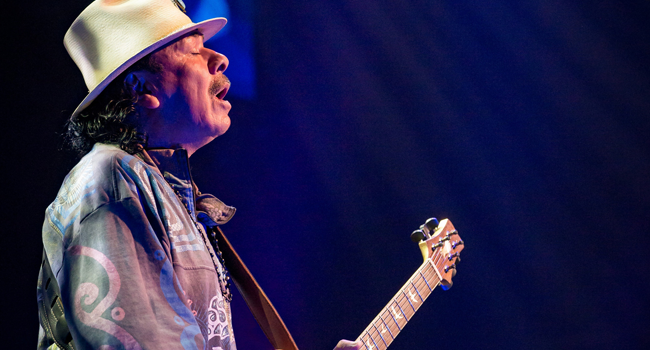 Ten time GRAMMY-Award, three time Latin GRAMMY-Award winning rock icon and Rock and Roll Hall of Famer Carlos Santana and his band Santana will bring The Transmogrify Tour to the U.S. this spring, performing passion-filled songs from their forty years of career, including fan favorites from Woodstock to Supernatural and beyond. The tour kicks off June 23rd and 24th with two shows in Woodinville, WA. Other stops include Boise, Phoenix, Albuquerque, St. Louis, Nashville, Anaheim and others. Dual shows are also scheduled for July 7th and 8th in Durant, OK. Tickets are available through Santana’s website.